Taurus’ strength protects Pisces’ sensitivity. This gentle, nurturing relationship can give these signs what they both crave: serenity. Sun in Taurus is the master of stability. He is the rock that less grounded partners can lean on. He’s in command of the physical realm, providing financial security plus all the sensual, loving comforts of home. But he’s also interested in emotional security. Sun in Taurus wants nothing more than to share calm enjoyment of the fruits of his labors. The downside? His pursuit of calm can result in mind-boggling stubbornness, and a refusal to engage any issue that might disrupt his routine. Moon in Pisces is the mistress of intuition. If her partner thinks it, she’ll pick up on it. And absorb it. And confuse it with her own feelings. This most sensitive of Moons needs a partner with a light touch; calm enough to give her stability, gentle enough to withdraw when she needs her serenity. Moon in Pisces has one foot in the Otherworld, always ready to escape, explore and experience anything that transcends the physical. Because of her vulnerability, it is essential that her partner have a positive, soothing energy. Too much friction can push her into an escapist dreamworld. Too many demands can turn her into a martyr who gives until there’s nothing left. 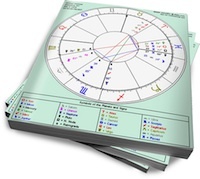 Sun in Taurus will be fired up by Pisces’ vulnerability. He’ll be compelled to sooth and protect her, even if he doesn’t quite understand her confusing depths. Moon in Pisces will feel safe and calm within Taurus’ walls. And it will be a relief for her to live with someone who has basic needs and solid energy. If she occasionally escapes into her fantasy world (because Taurus will be reluctant to explore spiritual energy with her) she’ll always return to her grounded lover. Together, they’ll create a safe haven based on tangible and intangible needs. I’m a Taurus-sun, Pisces-moon, Taurus-asc, Taurus-merc, Taurus-ven, of what I remember and I have a crush on a Pisces man from work. I feel so good around him like he knows me and I feel like he feels the same around me. It’s this ease that has made me so drawn to him. I’m wondering if this is just a karmic connection or could there be romantic attraction and connection? I am a gemini sun pisces moon woman in love with a taurus sun cancer moon man. We have been dating for 2 years now. We never fight, but my feelings have been hurt lately. He has been going through a whole lot with family and work for several months now. His whole world outside of me has been overhauled. I promise ive been so so patient ..far beyond patience ive ever had before. No meltdowns, no tantrums.. ive really learned alot from him and this relationship. But, I am at the end of my rope finally. He wont let me help him… I dont want anyone else…. but his shutting me out hurts so badly I just cant … any advice as to how I can either snap him out of it or stop my heart from bleeding? I dont want to walk away but I will.